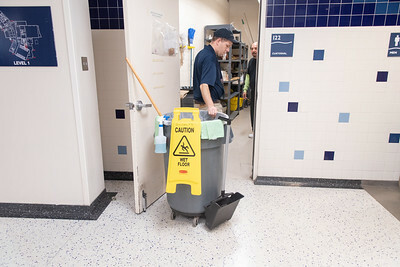 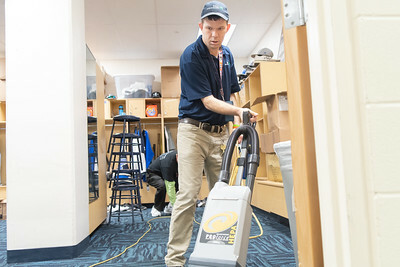 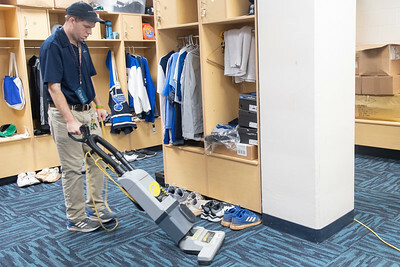 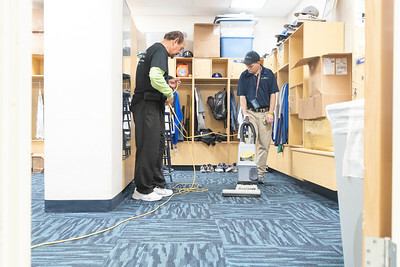 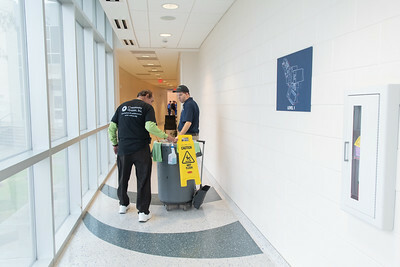 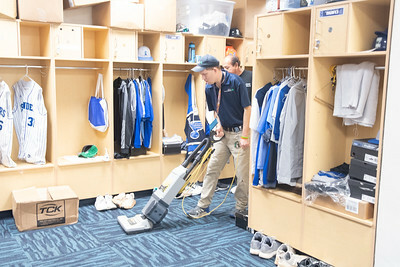 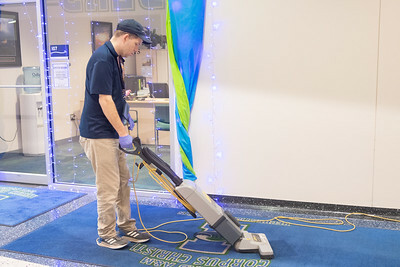 CORPUS CHRISTI, Texas – Luis Garza, 37, has been a fan of Islanders Athletics for as long as anyone can remember, so when the opportunity presented itself for Garza to work on campus, it was one that he couldn’t pass up. 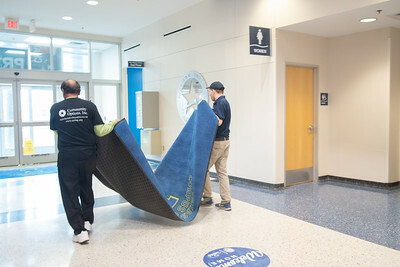 Garza, who has developmental delays, was recently hired by Facilities Services (SSC), the vendor charged with facilities and maintenance for Texas A&M University-Corpus Christi. 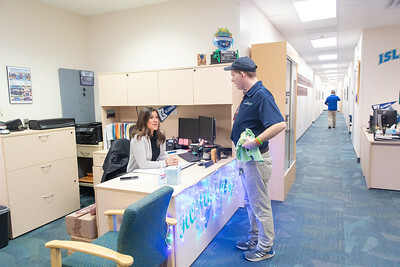 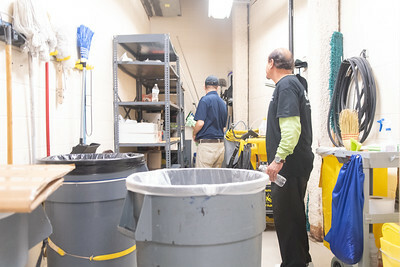 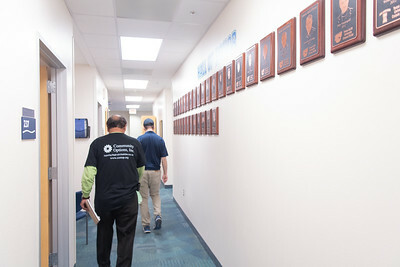 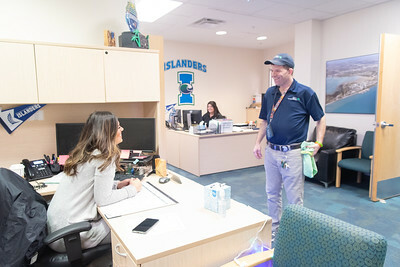 Because of his fascination with sports, it was a natural fit for him to be placed in the Dugan Wellness Center, the headquarters of anything and everything Islanders Athletics.